Embellish your home décor with the beautiful, antique finish and hand tooled, copper details on this magnificent, handcrafted, Spanish colonial style bed. The front of the headboard has three, rectangular cut panels, and each panel is adorned with regularly spaced, hand forged, copper conchos. 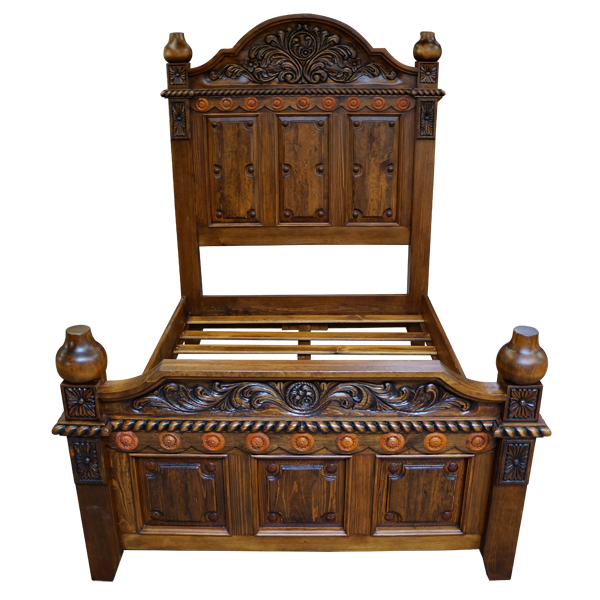 Above the rectangular panels is a gorgeous, curved, top crest, and the crest is enhanced with luxurious, hand carved, floral and scroll designs. Below the crest is a lovely, twist rope design, followed by hand hammered and hand tooled, copper conchos. The headboard is framed with solid wood uprights, and each upright is enhanced with hand carved, floral designs, and with a hand turned, irregular, top sphere. 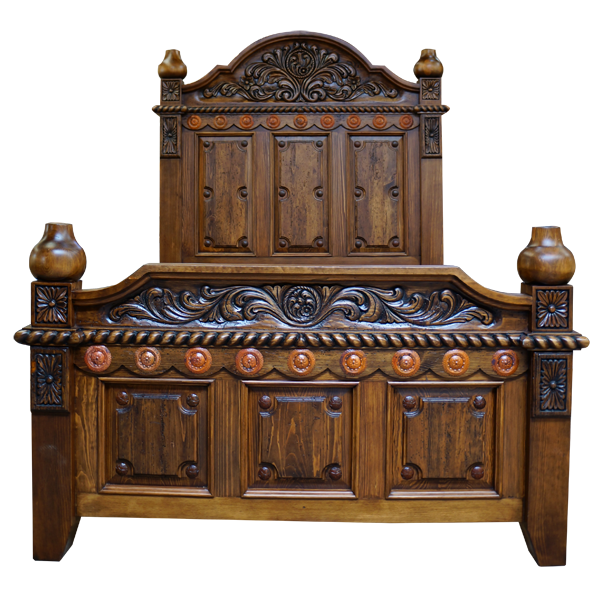 The footboard has a straight, top rim, with curved ends, and below the rim are elegant, hand carved, floral and scroll designs. Following the hand carved, floral details is a hand carved, twist rope design, with hand hammered and hand tooled, copper conchos below. The front of the footboard has three, square cut panels, and each corner of each panel is adorned with a hand forged, copper concho. 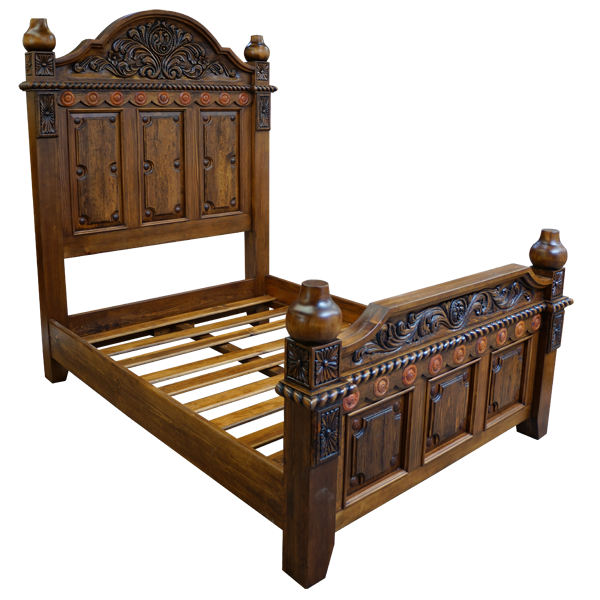 The footboard is framed by solid wood uprights, and each upright has hand carved, floral designs and with a hand turned, irregular, top sphere. The bed has solid wood, side supports, and it rest on slightly tapered, square cut legs. It is made with the best, sustainable, solid wood available, and it is 100% customizable.